The Je Porte Mon Bebe (JPMBB) PhysioCarrier is packed with intelligent features for a comfy, long-lasting fit. With a light and airy mesh body panel, it’s brilliant for all seasons. Je Porte Mon Bebe (JPMBB) knows a thing or two about babywearing. The family-run company not only make slings and carriers but also trains babywearing instructors. 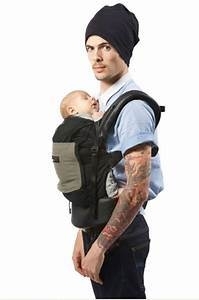 They do both with an impeccable commitment to supporting the physiology of both baby and wearer. The PhysioCarrier is JPMBB’s lovingly crafted soft structured carrier and will take you from newborn (with additional Booster Pack) to toddler. It’s has a clean, understated design and is packed with intelligent features for a comfy, long-lasting fit. With a light and airy mesh body panel, it’s brilliant for hot climates and long walks. Vented and transparent head support holds baby’s head when sleeping, while maintaining ventilation and visibility. Instructions for the JPMBB Physio Carrier can be found here.